The Ultimate Remedy Extreme Restoration Duo-Serum by Shu Uemura Art of Hair features a unique formula containing innovative Lotus Infusion and Ceramide 3000 PPM technology to restore, repair and deeply nourish ultra damaged hair. Ensuring the strength and flexibility of hair fibers is maintained, this leave-in cream will eliminate frizz whilst providing lasting hydration and nourishment. 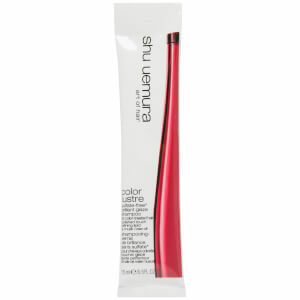 FREE Shu Uemura Art Of Hair Color Lustre Sulfate-Free Shampoo (Worth $10) when you spend $50+ on the range.